How Far is Eternity Celestia? Eternity Celestia is coming up at Vijayabank layout, off Bannerghatta Road A beautiful home deserves an equally spectacular location, with new age facilities, a great neighbourhood, easy accessibility. 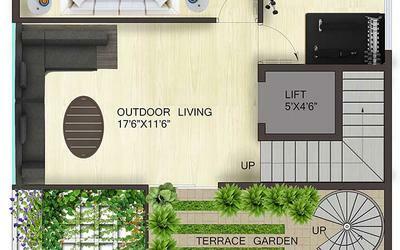 verdant greenery and wonderful amenities. One open cupboard with cuddapah slabs; one split A/c provision. Common water supply system for all flats. Eternity Structures Pvt Ltd; a company started by few dedicated and striving people who aim to deliver the quality and comfort to the Customer, assist them to turn their dream to an address and help them in achieving the perpetual happiness of owning an abode, a home. We endeavor to deliver the aspirational asset with complete perseverance and commitment. Our voyage has embarked with a passion to craft a whole way of luminous living yet being affordable. Eternity's primarily focus will be on residential projects and its core strength will be quality execution. We come with rich collaborative expertise of 20 years in Building and Construction sector. We understand the nuances of this sector and techniques to present good projects through quality execution and help the Customer attain their eternal ambition. The team constitutes of few highly enthusiastic and motivated people.